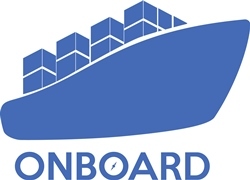 The ONBOARD-Erasmus project, which is an EU funded project is aiming to design and validate an apprenticeship model for the ports and logistics sector. The main goal of the Onboard project is to promote the establishment of local and regional partnerships between VET providers, business/SME/Chamber/other professional organisations and local or regional authorities to strengthen the apprenticeships schemes in the maritime sector. The involvement of all target groups is essential for the success of the project and much of the expected impact will depend on the quality and scale of the links that will be established between apprenticeships' providers and SMEs and the dialogue and cooperation that will emerge and be sustained over the project implementation and after its ends. The Onboard project is co-funded by the Erasmus+ Programme of the European Union.